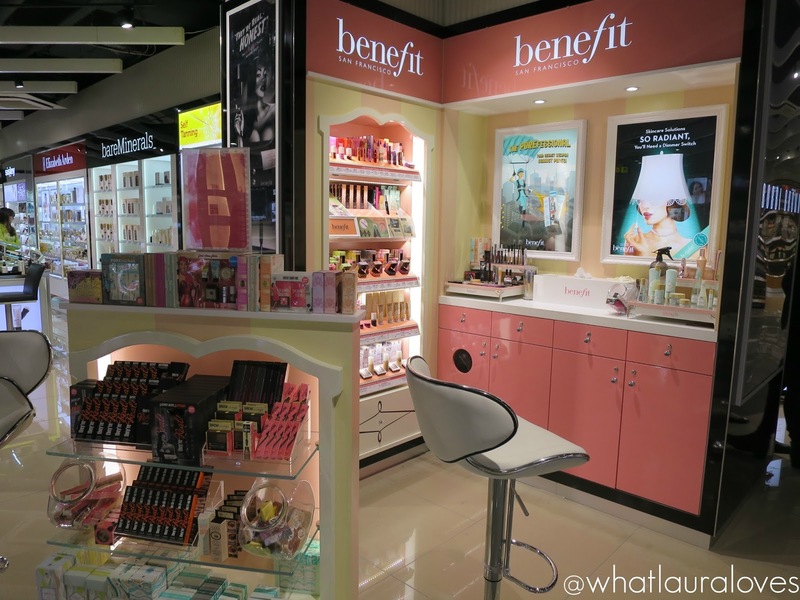 Come Beauty Shopping with me in Biza Duty Free! The only saving grace about me being home from my holiday in Morocco is that the weather is beautiful up here in the North East. The British summertime is in full swing and I’ve been able to top up my tan driving around with the roof off on my car. Its so hot and I’m loving it! I do miss being away though as I love to travel and seeing all of your updates on social media as you’re getting ready to jet off on your hols is making me wish I was going away sooner! I’ve just booked a special trip with Mr WLL for the beginning of next year to celebrate his 30th birthday and I’m already planning what I’m going to take with me! If you read my post all about my airport fashion picks then you’ll know that I take holidays seriously. They’re my time to relax, switch off from social media and everyday life and reconnect with me. They’re my biggest guilty pleasure and what I work so hard for. When I was a child I didn’t have holidays every year due to family work commitments and I promised myself that as I got older, I would travel as much as I could. I really place an importance on getting away and having that chill out time. It is as good for the soul as it is for the body. If you read that post then you’ll also know that, for me, my holiday begins on the day of my trip, not when I get to my destination. I like to get everything that I need to do done for the day before my flight and then I have a relaxing bath the night before, a bit of a pamper and a good nights sleep. On the day of my flight, I like to wake up refreshed and excited for my trip; not stressed to hell, manically throwing things into my case at the last minute. By the time I get to the airport, I’m always filled with anticipation of whats to come and excited to get through security into my favourite part of the airport; World Duty Free. We all know that I love to shop but when you add together the special offers, exclusive products and tax free prices, its not hard to see why I love shopping in duty free as much as I do. We flew to Morocco from Terminal 2 at Manchester Airport where their tax and duty free shopping area is known as Biza, which also comes under the World Duty Free umbrella. Biza have stores at T1 and T2 at Manchester Airport and also at Newcastle Airport which is the nearest airport to me. Before I travel, I like to look on the website of the airport I’m travelling from to find out what facilities they offer once through security, from their duty free to the restaurants and bars that they have and the airport lounges that they have to choose from. It makes me feel more comfortable knowing what to expect and we can plan for what we’re going to do while we’re at the airport so that we can make the most of our time there. 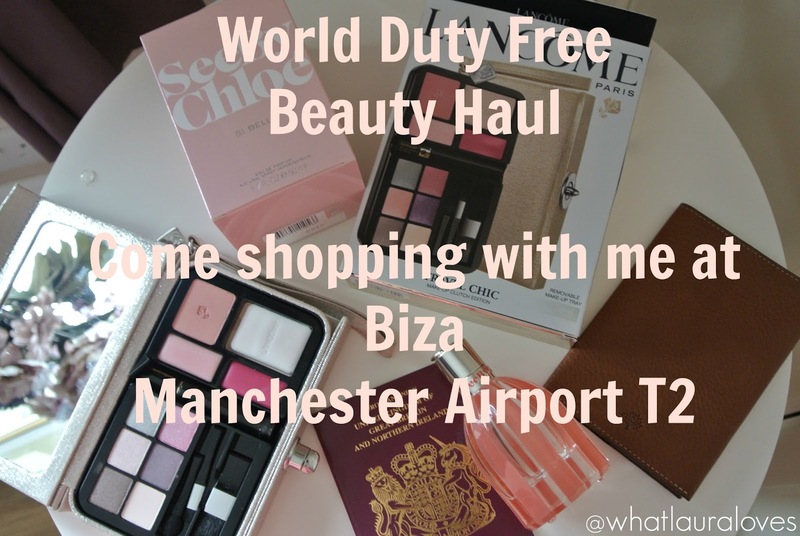 From there I tend to hop on over to the Biza website, or World Duty Free depending on which airport and terminal I’m flying from, to check out their latest deals and to get an idea of costs. 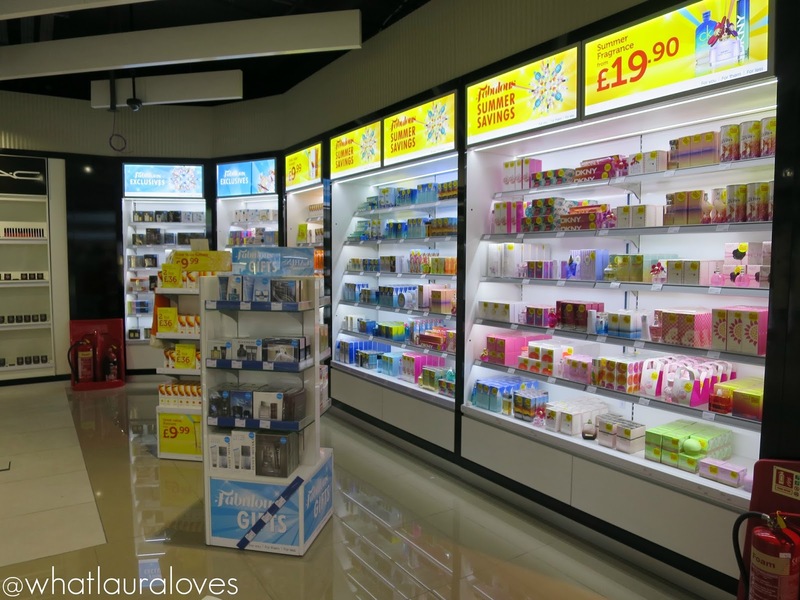 I also like to see what facilities they offer within the duty free store, for example, at Manchester T1, they have a complimentry bar right at the entrance which is sure to get your holiday off to a great start. 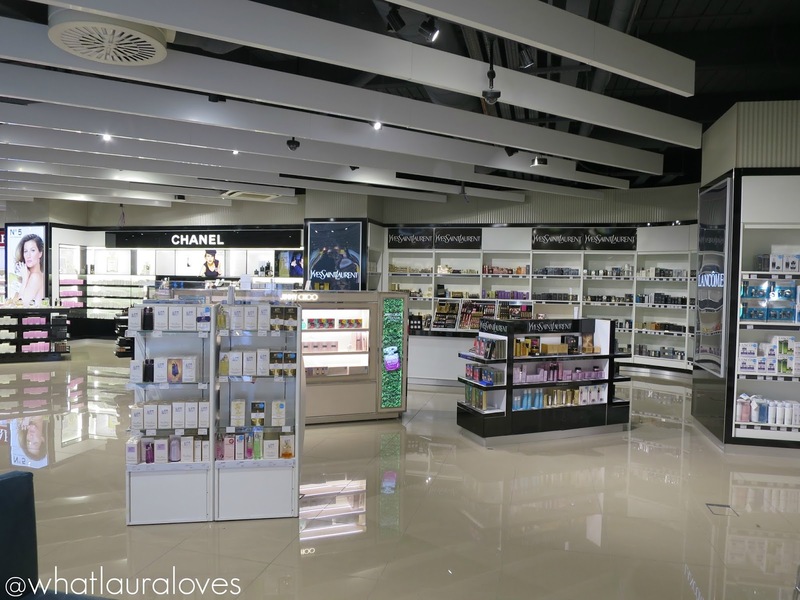 In Manchester T2, there is a free personal shopping experience to help you with your purchases through the store as well as complimentry express beauty treatments at some of the beauty stands. Sometimes when I travel, I have an idea of what I want to buy before I get there because if I’ve ran out of something then I’ll usually wait until my next holiday so that I can buy it in duty free for a lower price than highstreet stores. The same goes for perfume. Fragrance has to be my guilty pleasure in life and come what may, whenever I travel, I always buy a bottle. I don’t think I’ve ever been on holiday without picking up a fragrance or two! Other times, I like to browse and pick up something purely for the enjoyment of it. I’ll see something on impulse, love it and get it while I’m there. Little treats like that get my holiday off to a great start and give me something new to try out and play around with while I’m on holiday. The best thing about shopping at Biza is that it has the feel of a department store. 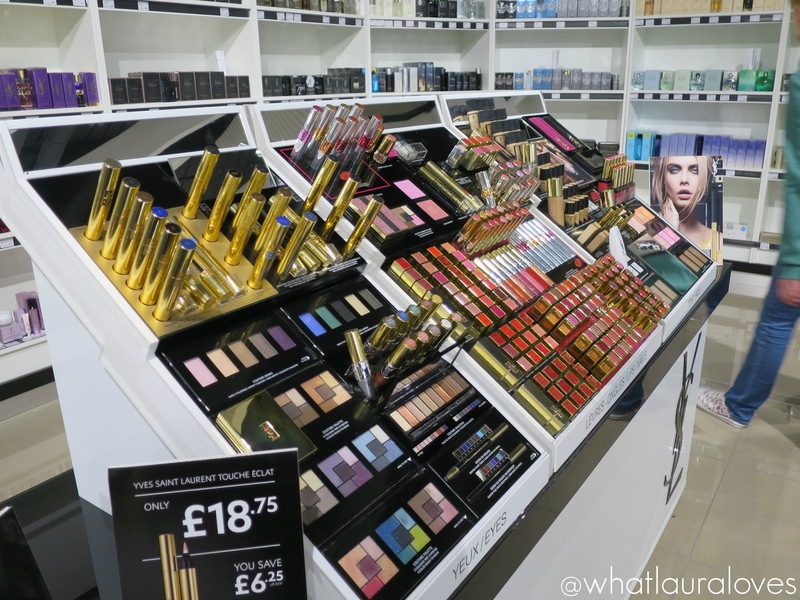 Particularly at Manchester T2, the beauty department is absolutely ginormous and very well organised with many of the brands having their own mini boutique areas within the store. 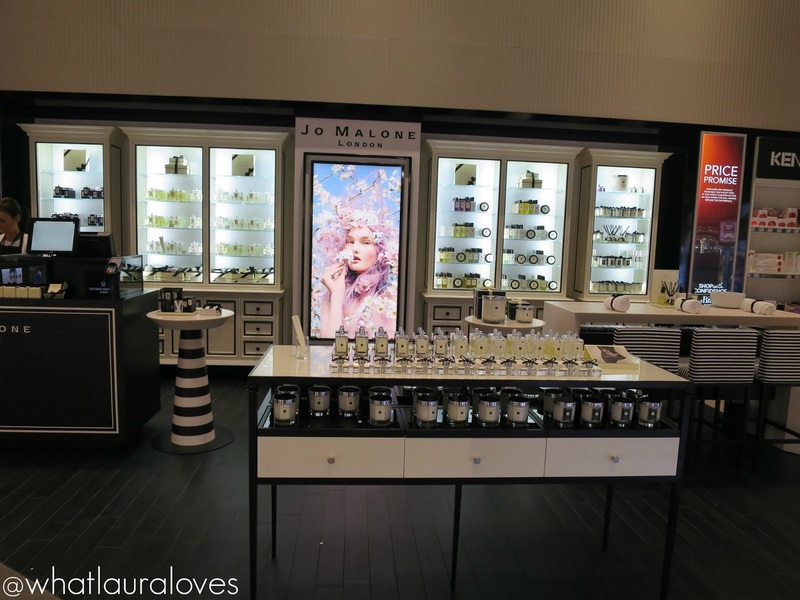 The Jo Malone section is all kinds of beautiful! 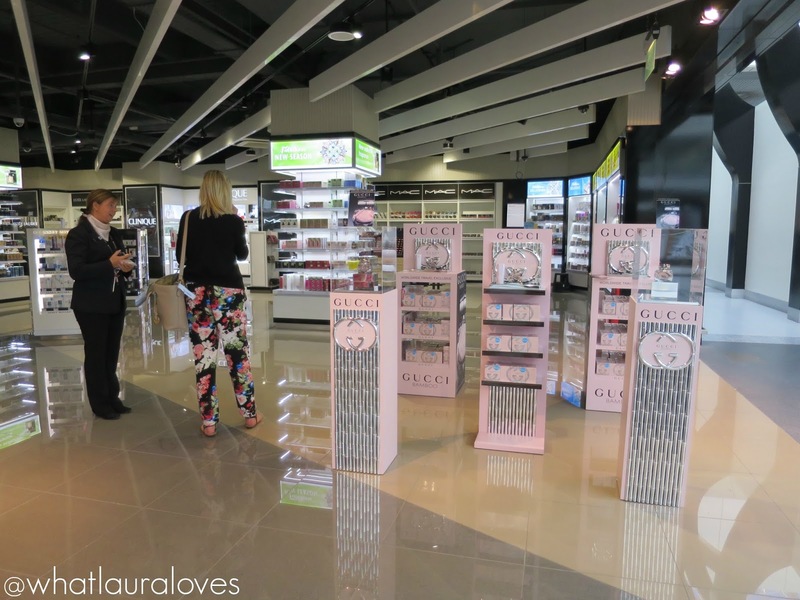 Stepping into Biza at Manchester Terminal 2, you’re currently greeted by something very exciting; the new Gucci Bamboo fragrance which is a worldwide travel exclusive and available exclusively at World Duty Free and BIZA stores in the UK. Gucci Bamboo is a fresh floral fragrance with a citrus twist that my friend was instantly drawn to as it is perfectly light for summer. 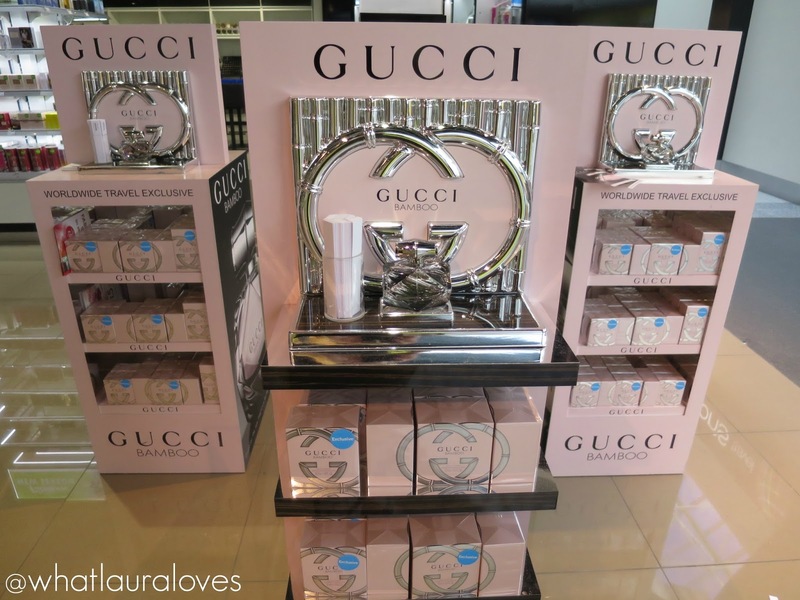 Their display stand looked absolutely gorgeous with the baby pink and silver colour scheme reflecting the design of the perfume bottle and all of the products were together in one place which made shopping the range of perfume, deodorant, body lotion and shower gel so easy. Biza have a wide selection of every fragrance you could dream of! Layering your fragrance is a great idea if you want it to last longer and if you can buy the fragrance together with complimentry perfumed products in duty free at a lower price, then that’s all the better! There was a lovely lady on hand to welcome me and my friend into the store and to give us a spritz of the Gucci Bamboo fragrance if we wanted one. Her smiling face was definitely welcome after a 2.5 hour drive to the airport and the queues to get through security. A smile and polite, friendly customer service costs absolutely nothing and it certainly puts you at ease when shopping. The staff at Biza are so knowledgable and I always feel comfortable asking them for advice or for product recommendations. Many of them are also multilingual which is great for those who don’t speak very much English. 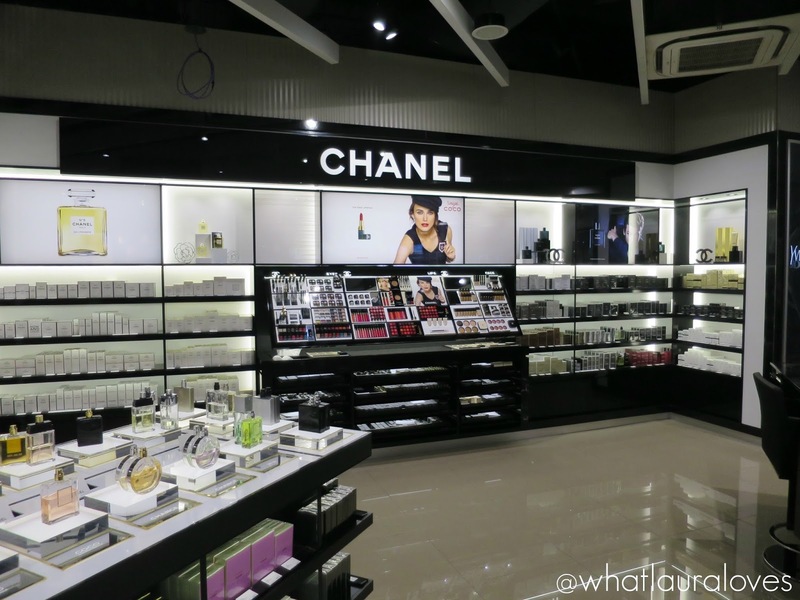 It is very apparent that everything in the store is set out to make shopping in duty free straight forward and as quick as you would like it to be. Whether you have 10 minutes before your gate opens or 2 hours, you can grab everything that you need and pay in more than enough time. 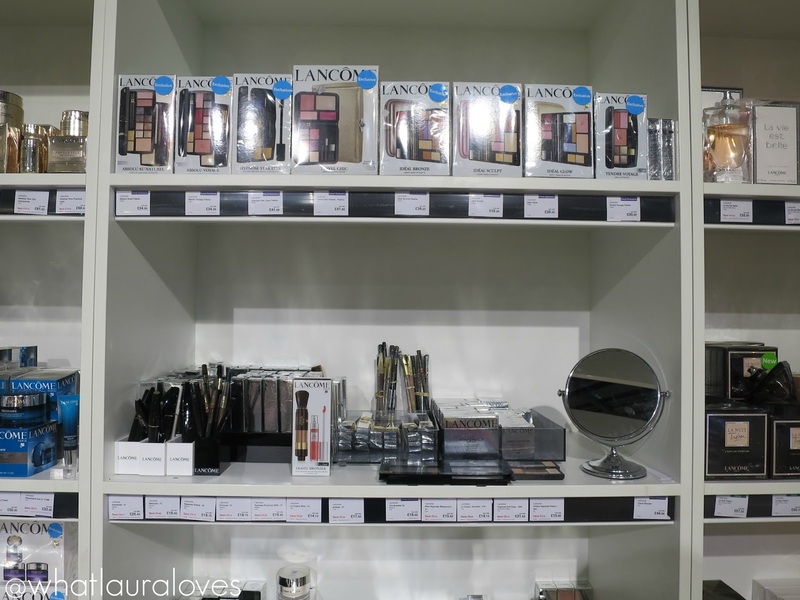 The different beauty brands are organised by brand to make everything quick and easy to find. Some brands have their own sections of the store, kind of like their own mini boutique. 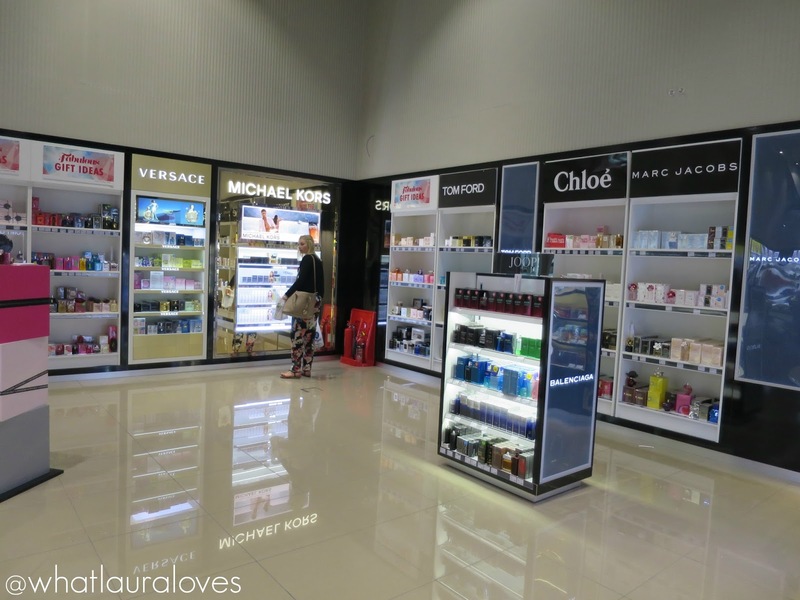 I find that duty free is often the perfect place to pick up hard to reach products that have been so popular on the highstreet that they are either completely sold out or extremely hard to find. 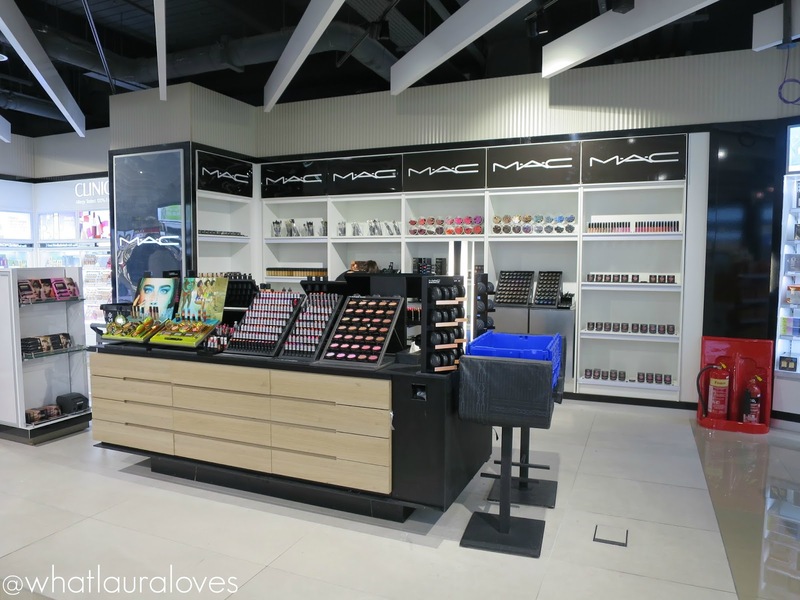 For example, the MAC concession in Biza was fully stocked with the latest Mac Wash and Dry Collection whereas my local MAC counter is almost sold out of this limited edition collection. The YSL and Benefit makeup stands were my favourite in Biza. All of the samples are so well kept and organised and they had such a wide selection of all products. If I were ever in a rush to the airport and forgot my makeup, I’d have no problems whatsoever finding everything that I would need in Biza. 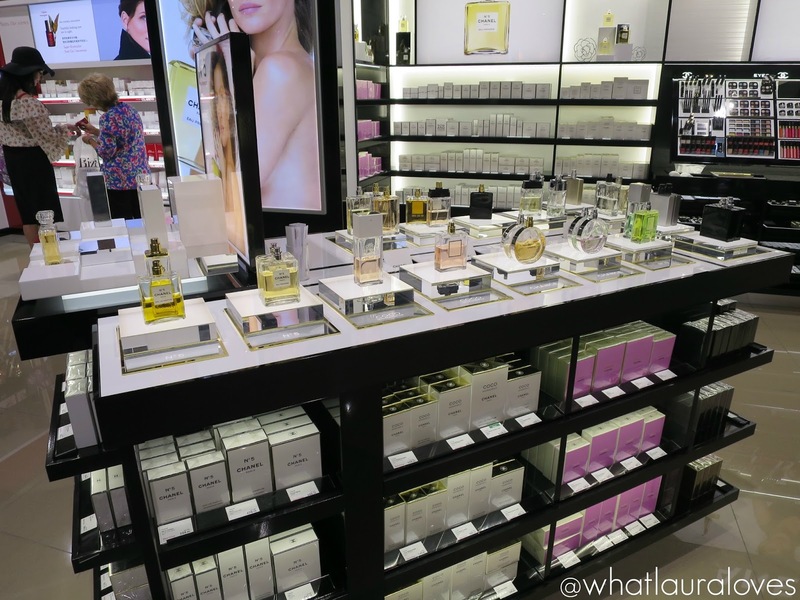 All of the fragrances, makeup and skincare products are clearly labelled with their cost and some have the RRP highstreet price next to them too so you can clearly see how much of a saving you’re making by buying the item in duty free compared to shopping in highstreet stores. 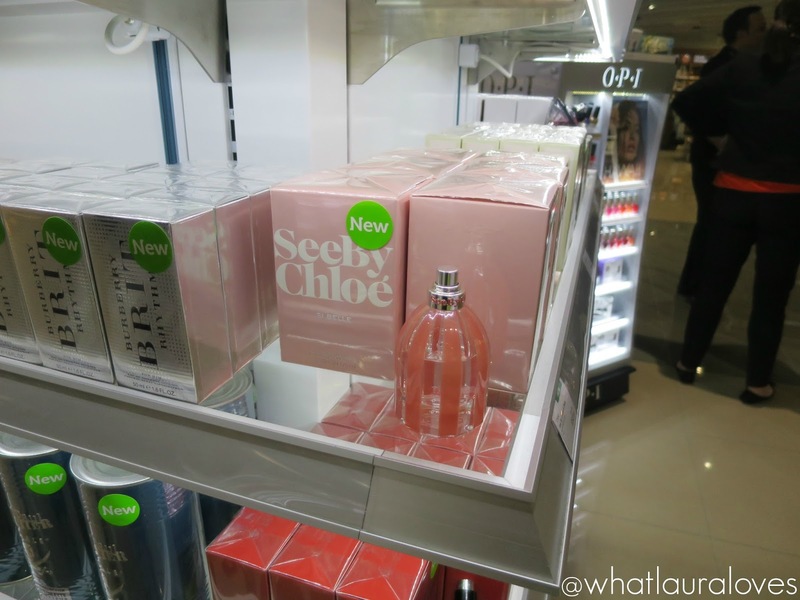 Not only are you making a saving by the items being duty free but you can also make other savings as Biza tend to have special offers on certain products, particularly perfume. These are always clearly displayed and often in their own sections. You also have access to travel exclusive sizes of products (look out for the Lancaster Tan Maximiser in the large duty free exclusive size if you’re looking to prolong your tan, it is absolutely fabulous!) and fragrances that aren’t yet released on the highstreet. As far as I am aware, See By Chloé Si Belle is one such perfume as I cannot find it online in UK stores for love nor money! 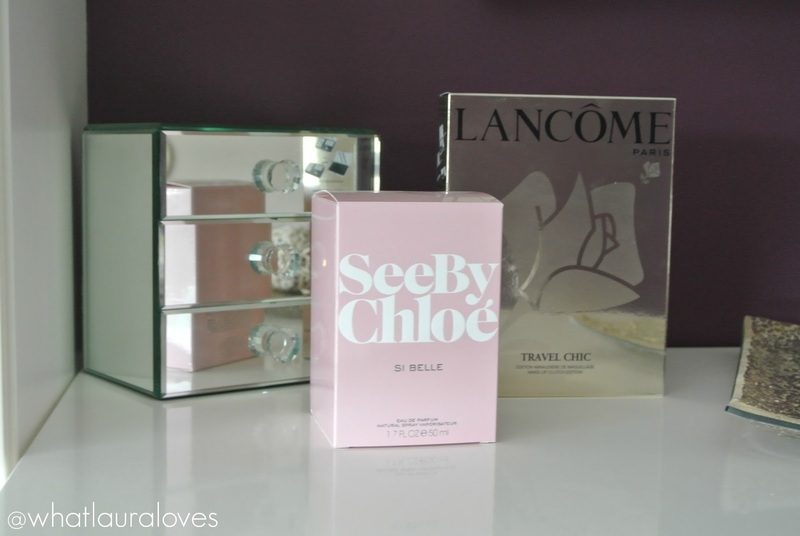 I bought the original See By Chloé perfume in Biza last summer, you can read my review of it here and it quickly became a scent that I would reach for on a very regular basis. When I saw Si Belle, I with its big ‘New’ and ‘Exclusive’ sticker on it, I knew that I had to give it a sniff. Si Belle smells absolutely gorgeous. It is stronger than the original scent with more of a floral punch which makes it more suitable for night use than the original is which is quite light. 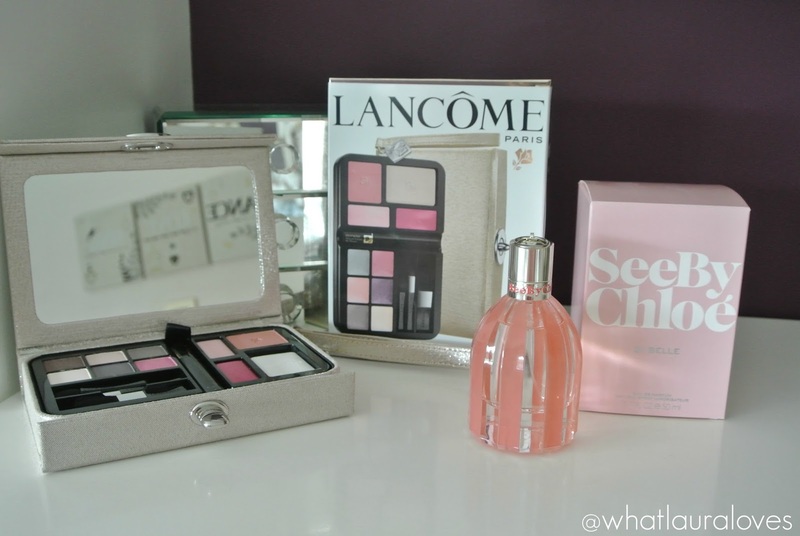 The base note is my absolute favourite, white musk, which sealed the deal for me! I have been wearing this fragrance ever since I got back from my holidays and can’t wait to feature it in a full review on my blog very soon. Biza also stock travel exclusive sets of makeup and skincare that you cannot buy on the highstreet. For a beauty junkie like me, this offers me the great opportunity to pick up an exclusive set that I wouldn’t have been able to buy had I not visited Biza. 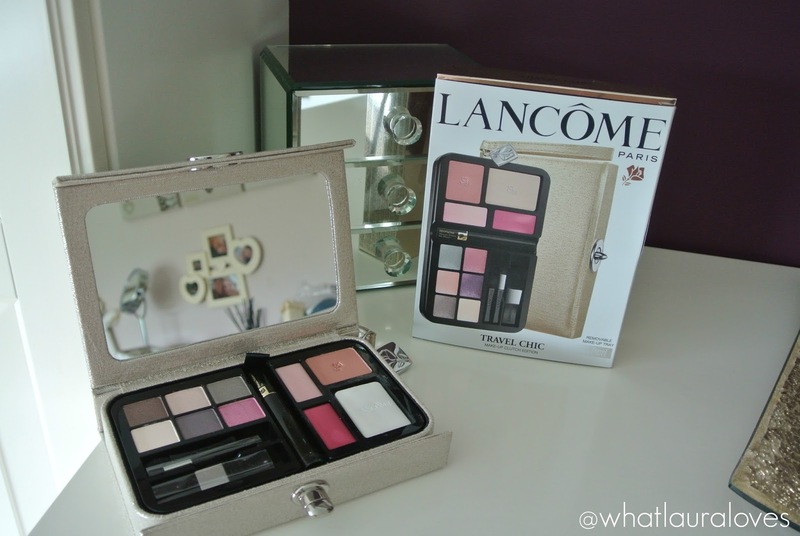 When I saw the Lancôme Travel Chic Make-Up Clutch Edition, I knew that I had to get it. Containing six easy to wear, springtime eyeshadows, a face powder, blush, lipgloss and lipstick alongside a mascara and three mini brushes to apply the products with, this is a fabulous palette for on the go use and funnily enough, it is perfect for travel! I love that it has a super huge mirror in the lid and that the tray with the makeup set into it can be removed so that it can be used as a pale gold sparkly clutch. This is definitely a palette with a difference and now that I’m home from my trip, I’ll be trying this out and will post a full review soon including the looks that I create with it! 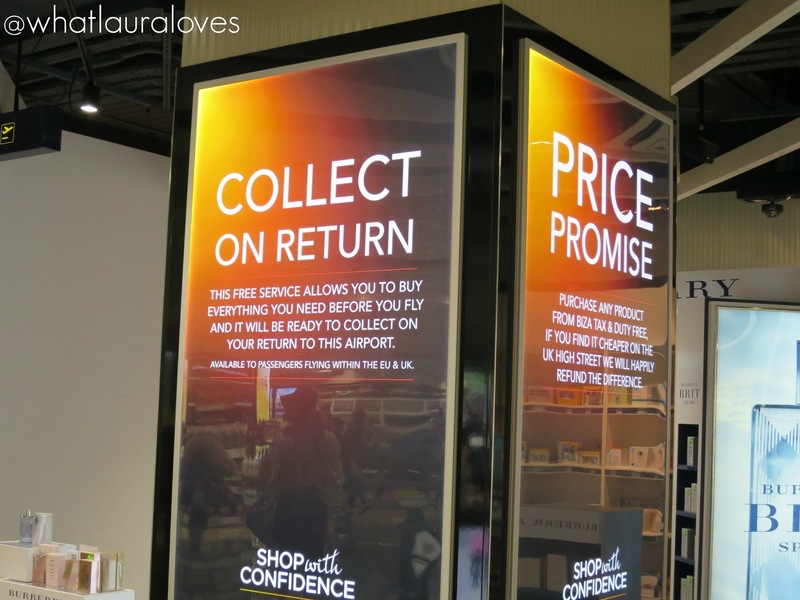 When shopping at Biza at Manchester Terminal 2, they offer a great service known as ‘Collect On Return’ whereby you can shop until you drop in duty free, leave your purchases there securely and collect them on your return back to the UK. This service is absolutely ideal for shopaholics who want to take advantage of all of the fabulous savings in duty free or for those who have purchased breakable items. It is worth keeping in mind that after you have passed through security, you can purchase one shopping bag full of duty free to take with you onto the aeroplane but on the way back, many of those items, especially if they’re over 100ml will need to go in your suitcase. If you don’t have an ample luggage allowance or space in your suitcase then your shopping will take up extra space and extra weight that you might end up getting charged for off the airline, which will offset any savings you’ve made in duty free! The Collect On Return service is a ideal service for so many people and one that I have utilised on many occasions, particularly when we travel around Christmas time as I buy lots of gifts in duty free. I’d definitely suggest taking advantage of this service, particularly if you’re purchasing products that you’re not going to need on holiday. I like to pick up the Molton Brown hand wash and hand cream sets for our bathroom and candles, diffusers and room sprays from Jo Malone that I’m just not going to need when I’m away on holiday so I think that it is pointless taking them to another country just to bring them back again unopened! My friend and I had a great time shopping in Biza before our trip and will definitely be heading back there before our next holiday. I could have spent hours in there looking around all of the gorgeous beauty and fragrances. My friend could have too; she was so happy to have been able to pick up a big bottle of her favourite Michael Kors perfume and some Ray Ban aviators before we headed to Frankie and Benny’s for dinner and cocktails ahead of our flight! 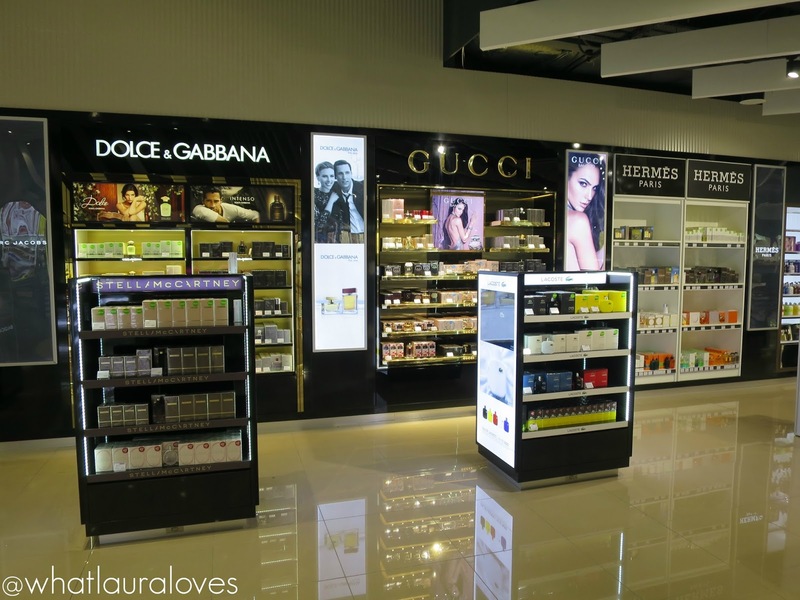 I’d love to know, what is your favourite thing about shopping in duty free? What purchases have you made recently? Next Post FINALLY: The River Island Sandals I’ve been lusting after! 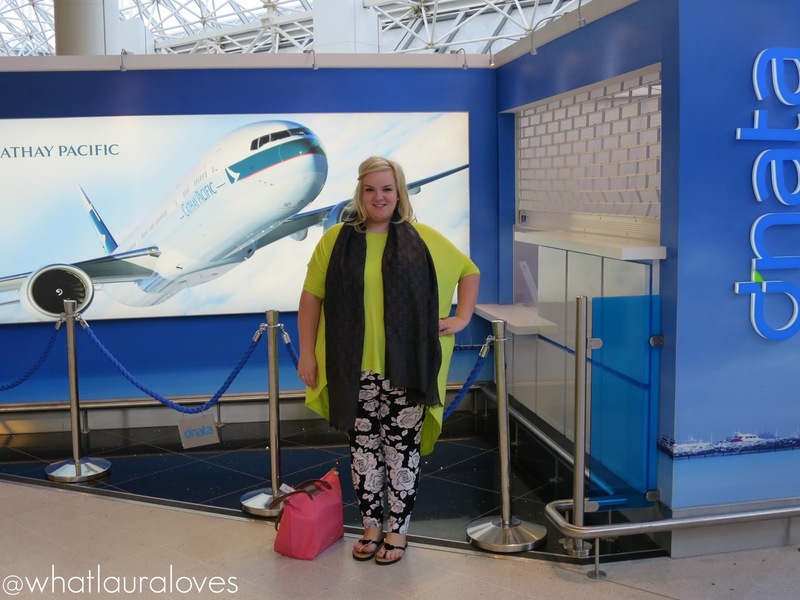 When I was in Dubai for connecting flight I had such an amazing time with duty free everything is so much cheaper and was able to grab amazing deals. Glad you got some lovely items. Biza looks like a corner of heaven. Everything is just so tempting during duty free shopping, gotta have something! 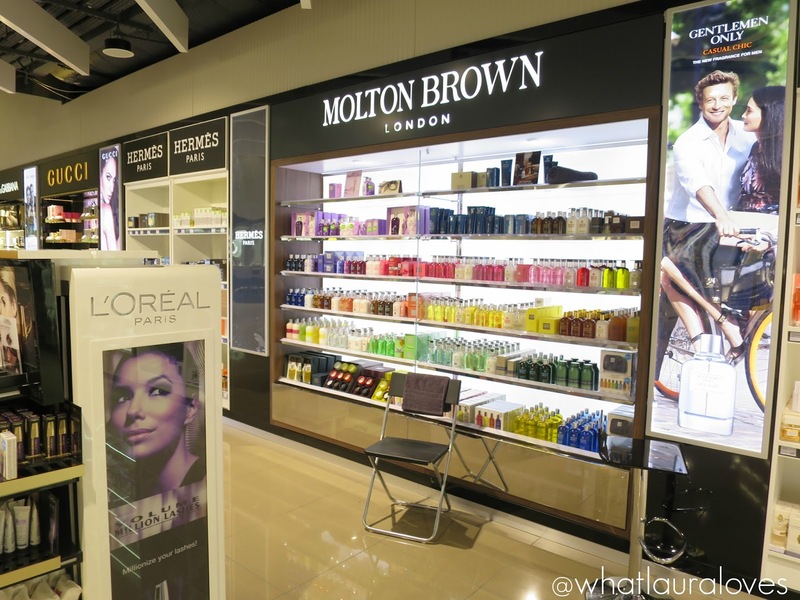 That is one of the best duty-free beauty shopping stores I have ever seen. 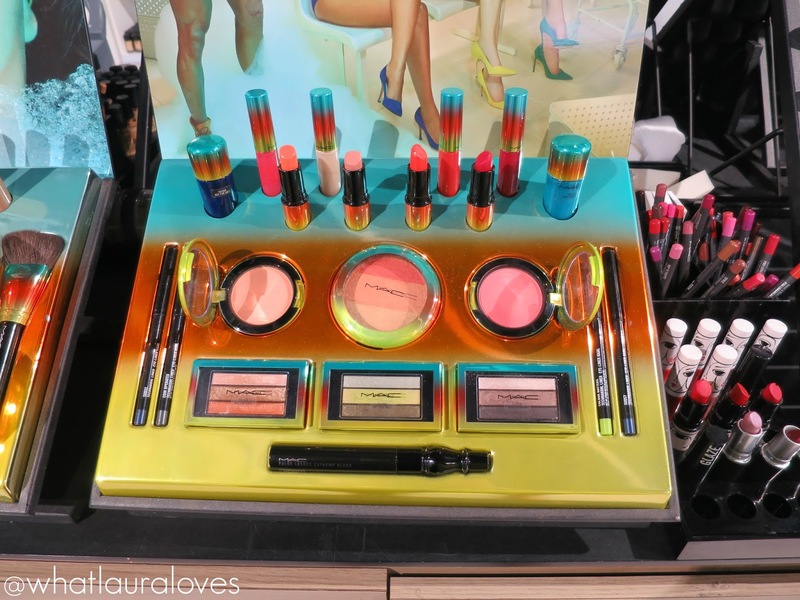 I really want a couple of things from the MAC Wash and Dry collection. You lucky girl to get to shop there! But I'm even more jealous that you went to Morocco on vacation! I'm dying to go there. Did you do a post about it yet?? Laura you lucky rascal! I am so jealous. I am not able to take a holiday/vacation this year because I changed jobs. I am like you the adventure starts at the airport. I love the hustle and bustle of getting through security and all the pressure wrapped up in getting to your gates in time. I learned from Shirley Eniag to purchase fragrances from duty free in an airport while on holiday. That way when you wear the fragrance you are always reminded of your holiday. I am glad you enjoyed!! !